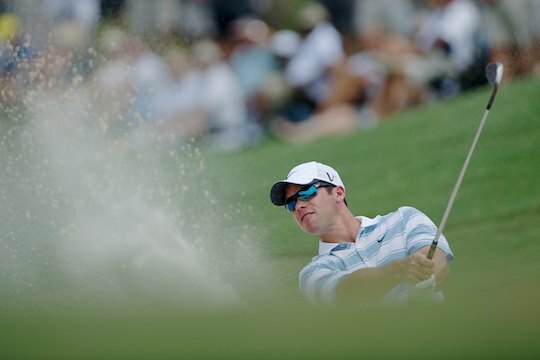 Englishman Paul Casey has been forced to withdraw from the 2012 US Open Championship with a recurrent shoulder injury. 58th ranked Casey’s withdrawal has opened the door for history to be created with Andy Zhang, an amateur from Reunion, Florida taking his place after qualifying as the first alternate in sectional qualifying. 14-year-old (born Dec. 14, 1997) Zhang, originally from the People’s Republic of China, will now become the youngest competitor to play in a US Open since World War II. Tadd Fujikawa previously held that distinction when he played at the 2006 Open at Winged Foot Golf Club, won by Geoff Ogilvy, at age 15. The news of Zhang’s historic elevation to the main draw comes 24 hours after Shanshan Feng became China’s first major champion, male or female, after winning the Wegmans LPGA Championship in Rochester, New York. Casey’s withdrawal comes shortly after the USGA also announced the withdrawal of Brandt Snedeker with a rib injury, his place being taken by 2011 US Walker Cup team member Jordan Spieth from Dallas, Texas.